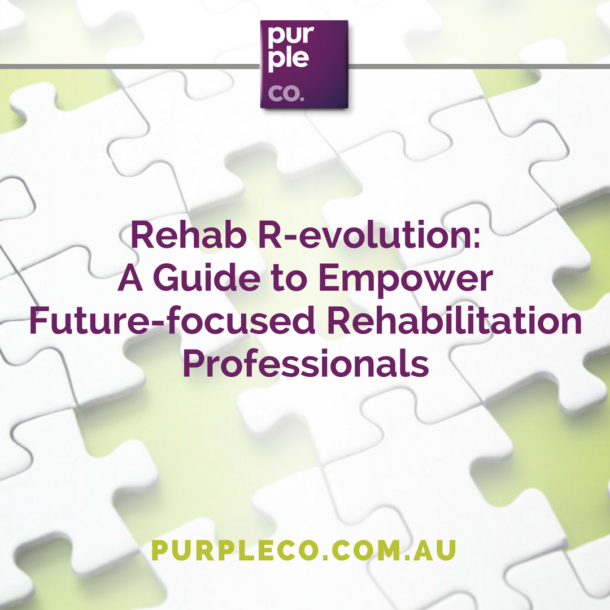 Jo is the Founder, Director and Principal Consultant of Purple Co. She is a Rehabilitation Counsellor and accredited Career Counsellor with over 20 years of experience in assisting people to return to work. A sought-after assessor of employability, Jo prides herself in being able to make sense of complex health issues and their relationship to capacity. When she’s not with her clients, you’re most likely to find Jo talking about her love of travel, coffee and shoes. Rhonda is a Rehabilitation Counsellor of 10 years vintage. She is highly skilled in working with people in rural and remote communities, particularly when it comes to helping people in this demographic locate new employment. Rhonda is excellent at working with clients with serious mental illness and people from diverse backgrounds to develop a pathway to paid employment. Rhonda loves stand-up paddle boarding and any activity that involves water! Ross is a veteran of the Rehabilitation Counselling profession, having worked extensively across a range of national, state and self-insured jurisdictions. As a person with a visual and hearing impairment, Ross is an incredible role model and facilitator of work capacity for his clients who are doubtful of their ability to return to work. Ross has exceptional positive outcomes for job-detached men in their 40s and 50s and in working with clients with a visual and hearing loss. Whilst Ross is relaxing, you might find him enjoying a glass of wine or cooking up some spicy chili dish. Sonia is a Registered Psychologist & Rehabilitation Counsellor of some 18 years experience. Sonia is an experienced assessor of employability and her attention to detail and ability to synthesise complex (sometimes conflicting) medical information has made her one of our most sought after consultants. Sonia has a keen interest in return to work assistance for people recovering from fatigue and has a strong history working with people with mental health disorders. M Human Services (Rehab Couns) Griffith University. Member Rehabilitation Counselling Association of Australasia. 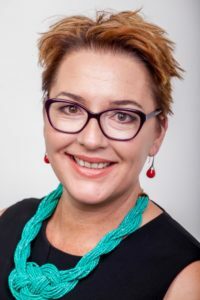 With more than 17 years industry experience both within insurers, and as a rehabilitation counsellor Samantha Hepworth has been a go to resource for technical advice and creative solutions within the rehabilitation community throughout her career. She has a strong reputation in service innovation and the ability to think outside the box and now brings this expertise to the PurpleCo Team as a QA Consultant. Rebecca is our Rehabilitation Consultant based in the Newcastle/Central Coast region. Bec has over 8 years of experience in the industry and has an extensive leadership track record, having supervised and led a team of consultants within a national provider before joining us at Purple Co. Rebecca is a skilled assessor of employability and vocational potential, and she most enjoys helping her clients take charge of their recovery and return to work with an overall focus on wellbeing. 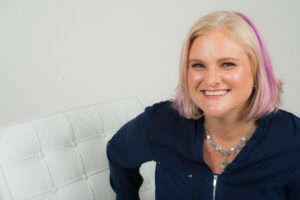 Kylie is a Rehabilitation Counsellor who has a more than 15 years experience in Case Management and Client focussed services with 10 years experience in Occupational Rehabilitation. During this time, she has worked for both Private and Government organisations. She has experience across both the Workers Compensation, Income protection and CTP markets. 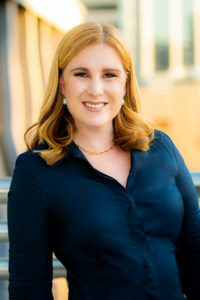 She has experience with Return to work (Same employer) as well as Redeployment (New Employer) and has experience in managing Occupational Stress programs. She has well developed skills in Vocational, Earning capacity and Medico legal assessments as well as Adjustment to Disability and Change Counselling. Carole Young is a highly experienced and extremely well regarded occupational physiotherapist. She is a pioneer and leader in the profession in the field of occupational rehabilitation and injury management. With over 30 years’ experience, Carole has exceptional expertise in functional assessment, medico-legal evaluation and rehabilitation provision. Sophie is Purple Co.’s Practice Manager, providing invaluable support to our customers, clients and the Purple Co team. She is the interface between the customers, clients and consultants, allowing us to do the good work that we do. Sophie comes with over 17 year’s experience in the Corporate sector with The Westpac Group, Zurich London and MLC – as a C’suite EA, and Event Manager. Peter is a dynamic OT who is passionate about helping clients maximise their function. He is a creative problem solver and enjoys finding unique ways for client’s to increase their independence at work and across their whole life. He has a passion for working with people with neurological conditions, upper limb problems and is experienced in working with people who live with mental health difficulties. Peter is a very hands-on OT, who lives and breaths the OT mantra of helping people in their own context. Jenny is driven by achieving improved function and creating independence for her clients. Jenny is a Driver Trained and Heavy Vehicle Driver Trained Occupational Therapist and thrives when working with clients who are described as complex, catastrophic or have significant psycho-social barriers to being engaged, participating and becoming independent. Jenny has significant experience working with people living with spinal cord injury, brain injury, neurological deficits, musculoskeletal injuries and degenerative conditions. Jenny has a strong medico-legal background, including being a decision maker under the 1999 and 2017 Motor Accident Acts. She understands that we operate in a resource-limited environment and, as such, she takes the reasonable and necessary decision making in her role seriously but fairly.